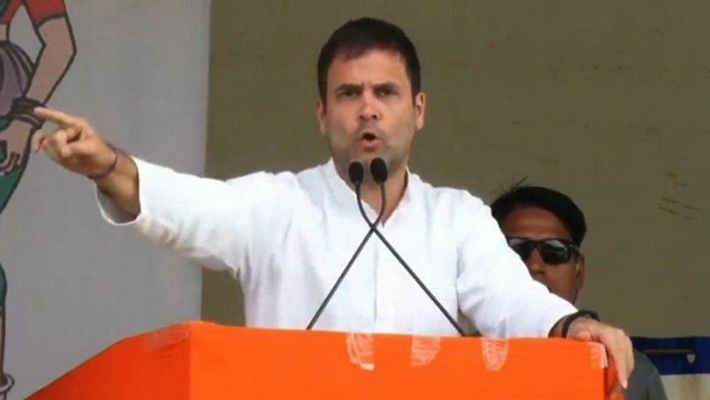 New Delhi: The Supreme Court has served a notice to Rahul Gandhi, following BJP MP Meenakshi Lekhi’s petition on contempt of court against the congress president. The next hearing of the case is on April 22. Lekhi has accused the Congress chief of twisting the decision of the court to suit his politics. She further held him responsible for presenting the remark ‘chowkidar chor hai’ (gatekeeper is corrupt) in a manner that appears to be the statement made by the apex court. Lekhi added that the classified documents in Rafale case, which will now be considered for hearing by the court, were wrongly presented by Rahul Gandhi before the people. The Congress has continuously attacked the Centre of wrongdoings in the Rafale case. On this matter, Rahul has openly challenged Prime Minister Narendra Modi for a debate. A day before the first phase of the Lok Sabha election, the Supreme Court gave a jolt to the central government by turning down its argument that a documents were classified and that those papers were “stolen”, while the authenticity of the paper is indeed disputed, as was evident in the Twitter expose of The Hindu’s N Ram, petitioner Prashan Bhushan argued that information already in the public domain could no longer be considered secret.